Stephen Garten is the founder and CEO of Charity Charge. Taught from a very young age to give back whenever he could, Stephen materialized this lesson into Charity Charge not only as a way for him to give back but to make it incredibly easy for others to do the same. In 2015, Stephen was chosen by IBM as one of the top 5 social entrepreneurs in the US and featured on a reality TV show called A New Way to Startup. 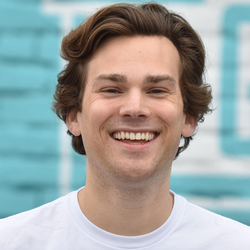 Stephen previously worked for the Austin Technology Incubator (ATI) at the University of Texas, where he met and learned from many inspiring entrepreneurs. As a way to share with others this invaluable experience, Stephen now serves as a mentor for students who aspire to be entrepreneurs like himself. Stephen earned a B.S. in Economics from Washington University in St. Louis. He grew up in Baltimore, Maryland and attended McDonogh High School. Company description: Charity Charge is a Public Benefit Corporation based in Austin. The Charity Charge credit card lets you earn 1% cash back to any charity, religious organization, K-12 school, or college of your choice. Its mission is to create tools that enable people to make a positive impact in the world through simple, everyday actions while encouraging millions of casual philanthropists to become active, passionate ones.